Let’s face it: the business you are funding with your SBA loan might fail. Nobody wants to think about it, but smart entrepreneurs understand that a little due diligence today might save you a world of hurt tomorrow. Today, I’m going to tell you about 3 facts that every business owner needs to know before they sign on the dotted line for an SBA loan. One the biggest misconceptions that exists when it comes to SBA loans is that the SBA guarantee (usually around 75%) means that if you default, the SBA pays off the bank on your behalf. While it is true that the bank gets reimbursed for the guaranteed portion of the loan, it does not reduce that amount that you, the guarantor, are responsible for repaying. So if you have a loan for $100,000 and default on it, the SBA (after certain conditions are met) will reimburse the bank for about $75,000. That’s great for the bank, as they’ve only lost $25K, assuming they can’t collect any additional funds from you. But for you the borrower? Nothing really changes. You still owe $100,000. All that changes is that going forward, 75% of any funds collected are remitted back to the SBA by the bank. Whenever I explain this concept to a borrower, the question that inevitably follows is: so what good is the SBA guarantee, and why did I have to pay a guarantee fee? Fair question. The whole point of an SBA loan is that, in theory, your business would not have qualified for conventional bank financing. By agreeing to reimburse the bank for a portion of the loan, the SBA is getting you financing that you would not otherwise have had access to (for a fee, of course). So while it’s not free money, it does help small businesses get access to capital. Funding the purchase of an existing business is one of the main ways that SBA loans are used. One more than one occasion, borrowers have called me, furious that the seller of their business grossly misrepresented some aspect of the business. In some cases, revenues have been inflated. In others, the seller failed to share that a major customer was on the verge of leaving. Either way, the seller didn’t give the borrower a good faith disclosure of business inner workings, and not surprisingly, the borrower gets very upset about it. If you find yourself in this situation, be aware that neither your bank nor the SBA will not offer you a shoulder to cry on. Borrowers often assert that the bank should bear at least some of the responsibility, considering they underwrote the loan and vetted the business. Unfortunately, the bank or SBA won’t see it that way. The bank underwriting process is meant to determine if the loan can be repaid, but lenders do not consider it to be a stamp of approval on a business. In other words, the onus of due diligence ultimately falls on you to uncover any shady abnormalities that may exists. I’ll be the first to admit that the word hardship can be quite subjective. But there are certain cases where a settlement discussion is a non-starter for the SBA. If you pledged your home and it has enough equity in it to cover the entire loan balance (even if you take a 10%-20% discount off the market value), your lender probably won’t be too interested in settling. Your lender also won’t be interesting in settling if you make enough money from another business or job to cover the monthly loan payment. It might be reasonable to think to yourself “wouldn’t the SBA rather take a little less than the full balance just so they don’t need to spend the time and money on law suits?” It’s a perfectly rational thought, but in my 10+ years experience in this business, it’s just not how they thing. The bottom line is that the SBA won’t consider a settlement unless it’s clear that the borrower/guarantor lacks the ability to repay the debt in full. Don’t get me wrong: the SBA loan program is awesome. It’s responsible for countless success stories that would not have come to be had it not been for the SBA. 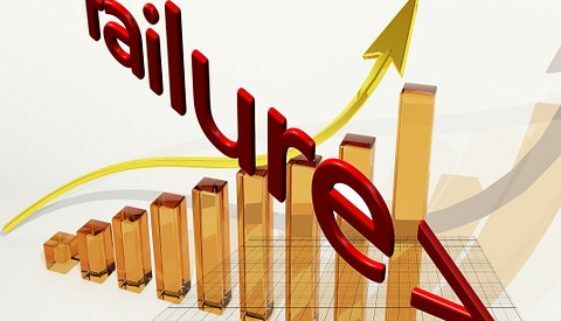 With that said, even the most “sure thing” business ventures come with risk of failure, and for that reason, it’s important to be aware of the downsides as well.